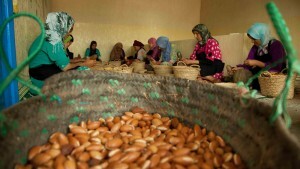 PAMPAT is training and coaching numerous argan oil cooperatives. By strengthening traceability and management practices the project aims to allow the cooperatives to access new markets both within the country and abroad, improving the revenues of all actors involved. PAMPAT is strengthening the organization of the prickly pear value chain including more than 400 farmers, cooperatives and companies involved in the processing of prickly pears. PAMPAT is strengthening national and regional capacities for development and promotion of local products. 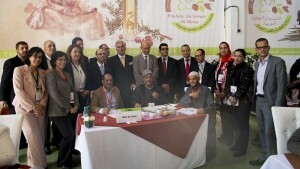 “Project for Market Access of Products of Terroir” (PAMPAT) aims to improve the performance, market access and the socio-economic conditions of two value chains in Morocco – argan oil and the Ait Bâamrane prickly pear – which are both typical products of the Souss-Massa-Drâa region. These value chains were selected as they offer promising prospects in terms of job creation, women empowerment and the promotion of sustainable and inclusive local economic development. Financed by the Swiss Confederation’s State Secretariat for Economic Affairs (SECO), the project is being implemented by the United Nations Industrial Development Organization (UNIDO), in close cooperation with the Ministry of Agriculture and Marine Fisheries and the Agency for Agricultural Development (ADA). 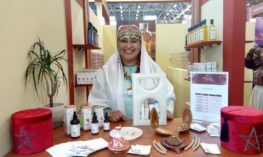 Argan oil has always had an important socio-economic role for the community of southwestern Morocco but in recent years it has gained worldwide recognition as both an ingredient in high-end, personal care products and as a heart-healthy gourmet product. 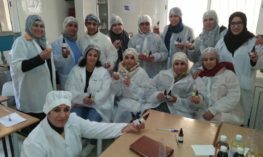 PAMPAT is strengthening the linkages among different actors within the value chain and improving market access for argan oil products, as well as improving traceability and promoting use of Geographical Indication. 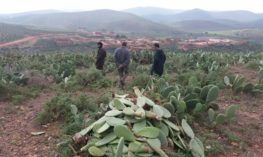 The prickly pear of Ait Baâmrane is a major source of agricultural revenue and has strong commercial potential - not only as a fresh fruit but also in cosmetics and other transformed products. PAMPAT is strengthening the linkages among different actors within the value chain, training farmers on the best agricultural practices to improve quality and accompanying the packaging and processing facilities to comply with national and international standards, ultimately to facilitate market access. PAMPAT also focuses on strengthening national and regional capacities for the development and promotion of typical products. Activities include training support institutions, the organization of the first Moroccan Contest for Traditional Products, and the exchange of experiences and best practices at the regional level (amongst Tunisia and Egypt and Sub Saharan countries).